The present book is intended for all busy people like you who have to work hard in order to find time to pray or to read the Bible, but you wish to know better God Almighty and His Son Jesus Christ. The 44 articles were inspired and guided by Jesus Christ Himself. The words in each of this article are written as simple as possible in order many of you would not find it difficult to follow and apply in your life. You will learn more about how great is God’s grace for you and your family. 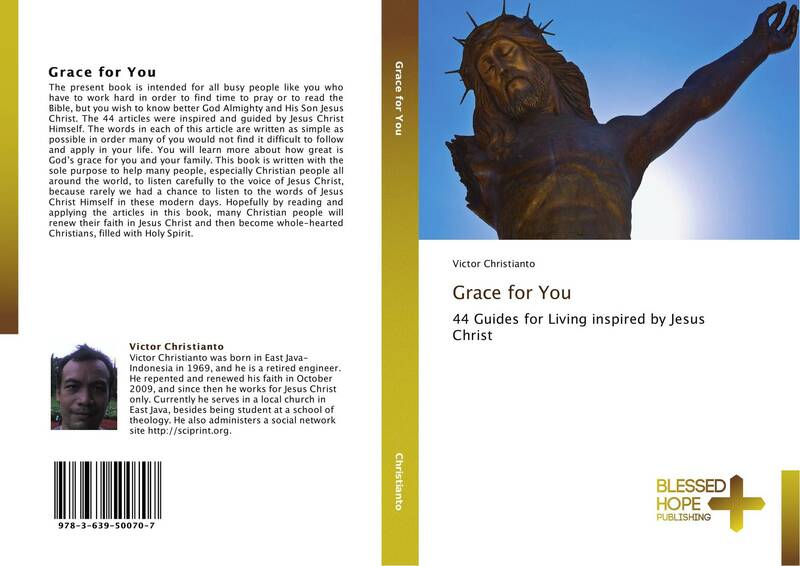 This book is written with the sole purpose to help many people, especially Christian people all around the world, to listen carefully to the voice of Jesus Christ, because rarely we had a chance to listen to the words of Jesus Christ Himself in these modern days. Hopefully by reading and applying the articles in this book, many Christian people will renew their faith in Jesus Christ and then become whole-hearted Christians, filled with Holy Spirit.